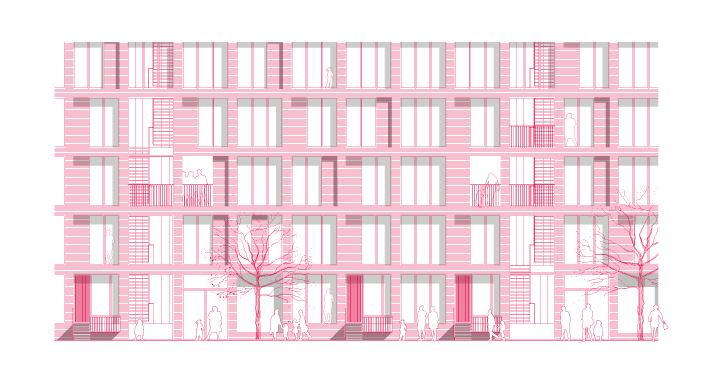 LETH & GORI’s and Powerhouse Company’s proposal for a new type of non-profit housing in Copenhagen focuses on creating a robust framework for the individual lives of the inhabitants and for community between the inhabitants. We believe in architecture that interweaves form and emotion – an architecture which is not only intellectual, conceptual or visual. We believe in architecture that affects all senses. Our vision is based on the creation of a robust and durable architectural framework with good materials, simple structural systems and long lifespan, and a strong focus on the creation of places and spaces in the project for people to meet and community to grow. In addition the vision focuses on the strong connection between the project and the city and the potential to cultivate this connection in a way where the inhabitants and the city benefit from each other. We are interested in shifts in the hierarchy between the private and the public sphere and the potential these shifts have to create life and interaction. 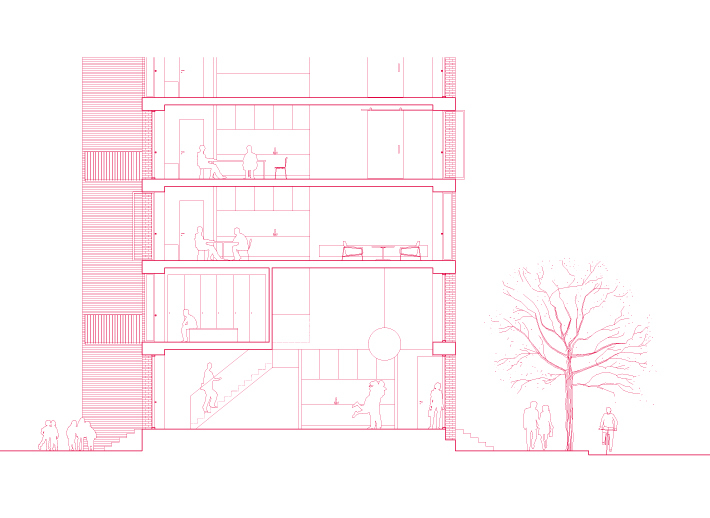 The approach to the project is based on the feeling of responsibility for the surroundings and engagement in society. 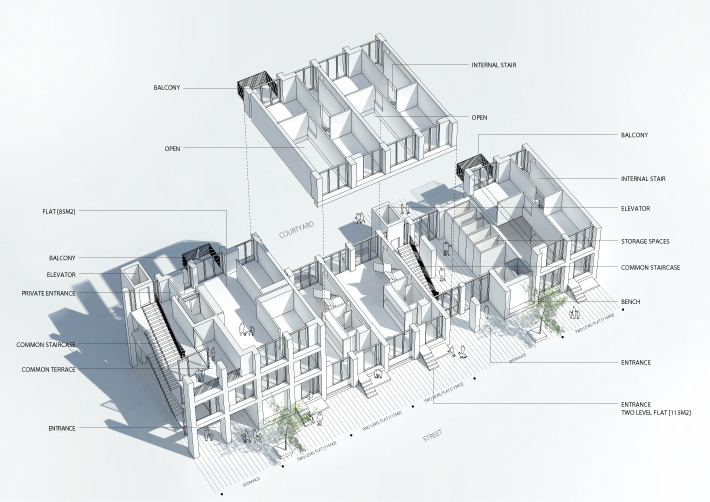 The project aims to give something back to the city and the neighbourhood. The goal of the project is to create value for people by focusing on the transition from to the city to the individual dwelling. 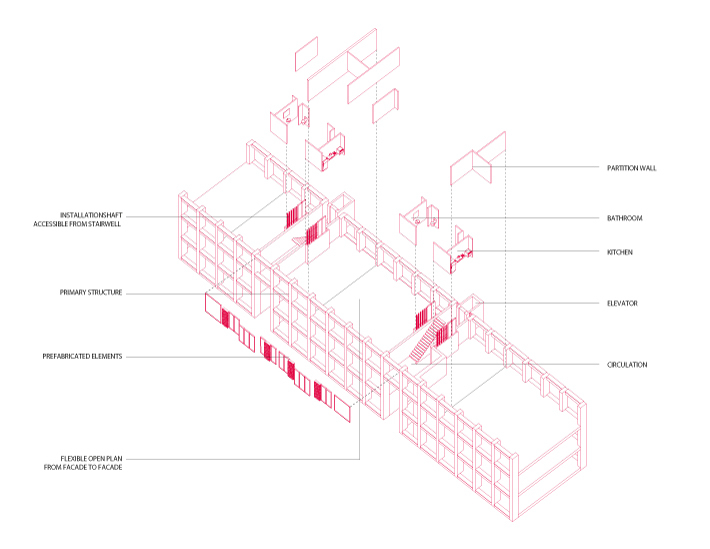 The project does this by creating a series of common spaces for meeting, interacting, resting, celebrating and playing. 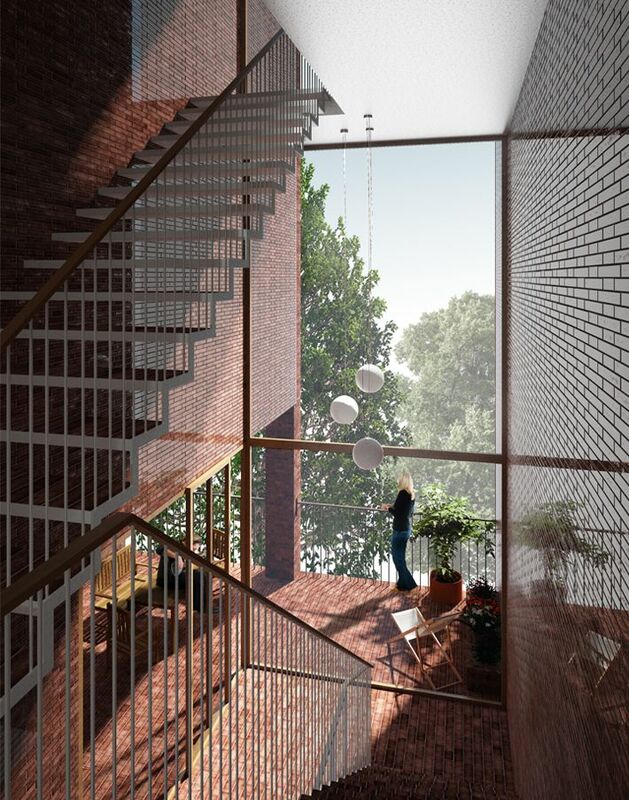 By providing new common spaces, for example informal meeting spaces in the stairwell or semi-private sitting niches by the entrance door, the projects promotes meetings and interaction between inhabitants and support the feeling of togetherness and community. 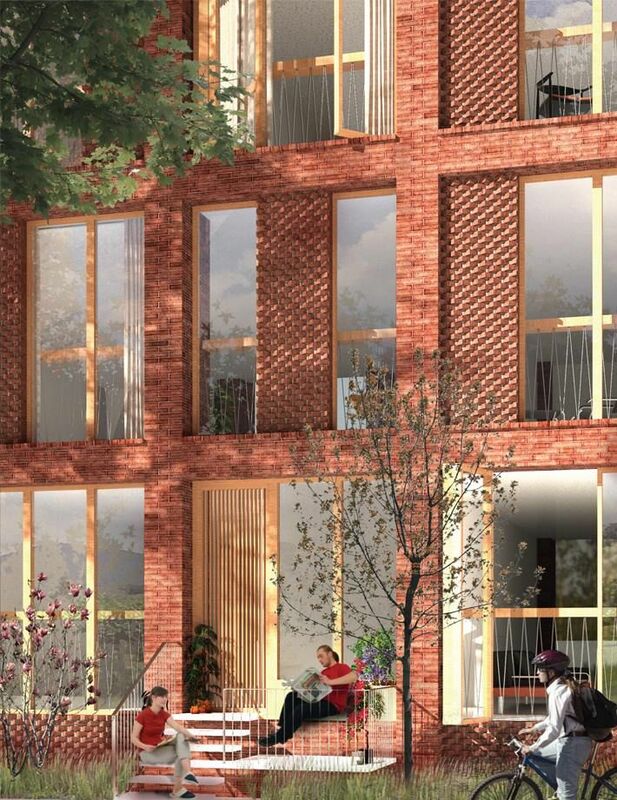 The feeling of community and togetherness is an important factor in the success of a housing complex. If you are happy with the place you live and have a good relationship with your neighbours you are also more careful when it comes to looking after common spaces and living areas. Less resource spent on maintenance means more resources to spend on qualitative additions to the place or lower rent. Living in a city means living with other people. 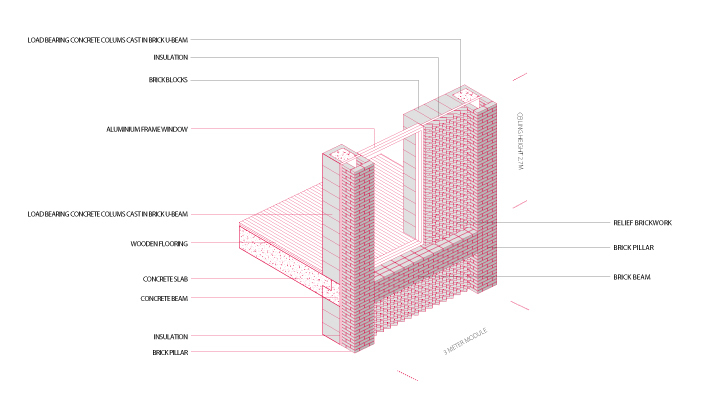 We share streets, alleys, plazas, parks, courtyards, stairwells and roof terraces. To live in the city requires tolerance and the ability to share space. As part of everyday life we experience a series of negotiations with our surroundings. From the public spaces of the city to the private sphere where the individual family members have their own seat at the dinner table. The focus on togetherness is important because it promote the notion that the city only exists as the sum of all its inhabitants and it is our responsibility as inhabitants to create the city we want. A good home is about, warmth, intimacy, tranquillity and presence. By developing the project as an open, inviting frame the project aim to create homes that can accommodate the diversity of the life we live. 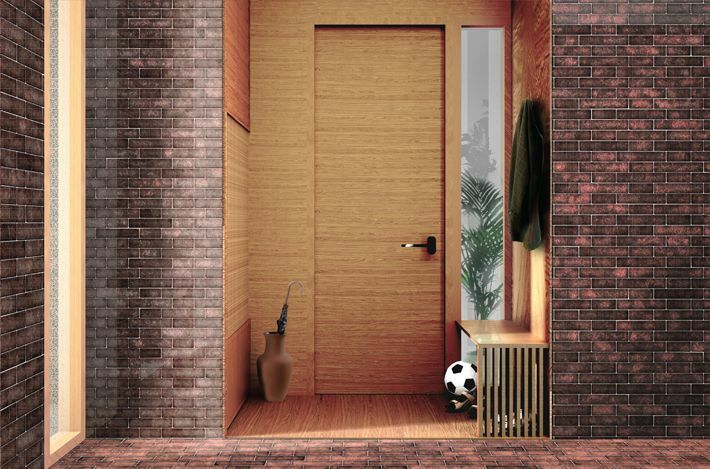 A home with space for everyday life but also for the unforeseen and unplanned. Flexibility is a key issue here. The ability to adapt the individual home to different situations of phases in life. To different wheather conditions or seasons. For this reason the different types of flats are all designed with light from two sides and an en-suite disposition of spaces that enables the inhabitants to configure the spaces to their individual needs. Homeliness is a fluid quality that doesn’t only belong to the individual home but can flow into the semi-private and semi-public spaces of a housing area. 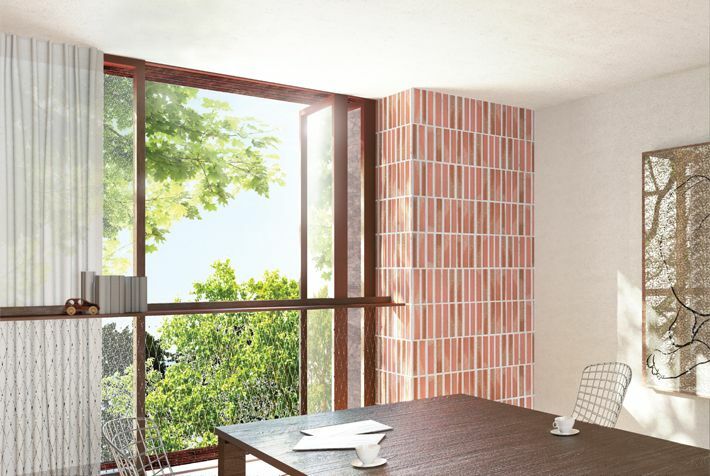 For this reason the project focuses on providing a spacial transition between inside and outside – between private and public. 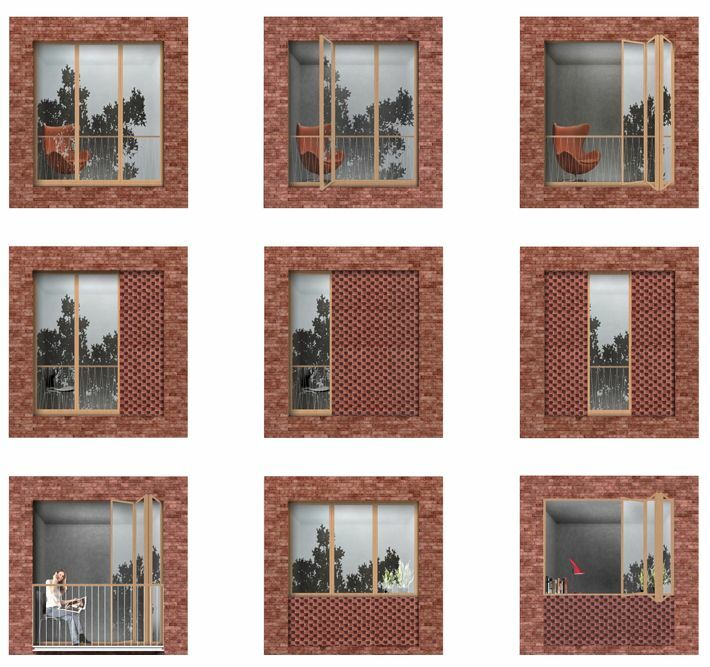 The individual flats have folding doors and balconies that enable the inhabitants to open op the flat to the city and at the same time exposing the private realm. 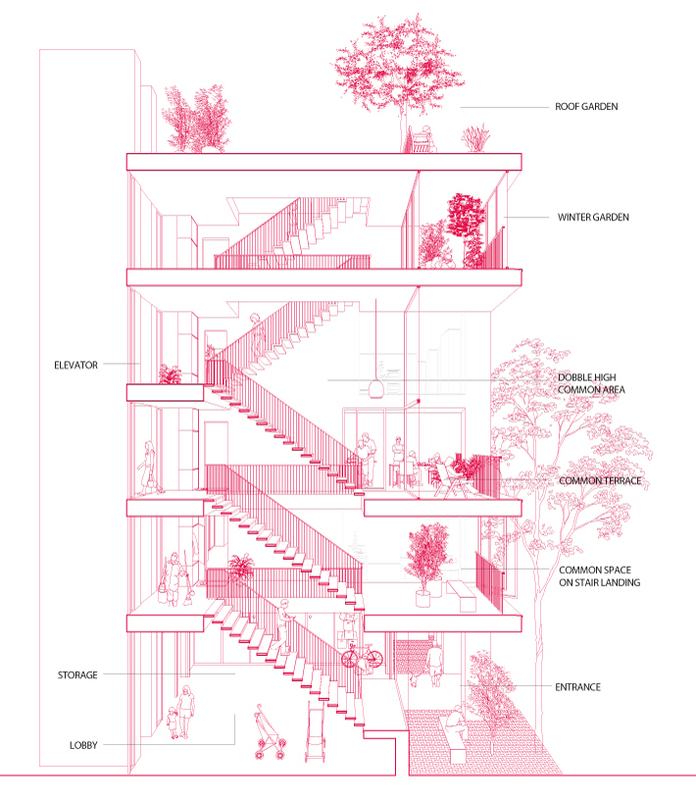 In this way the project interprets home as a zone which doesn’t only include the spaces of the individual flat but stretches into the city including the stairwell, or even the local café. 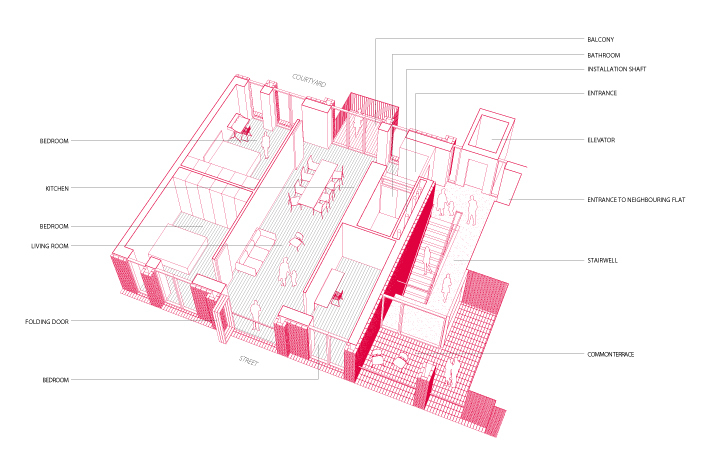 Home is a series of parallel spatial intervals sliding in scale from the city to the individual flat and visa versa establishing architectural connections between the body, space and city. Non-profit housing is a type of publicly funded housing that focuses on creating affordable housing for everyone. Non-profit housing estates are built and managed by housing organisations. The idea behind non-profit housing in Denmark dates back to the middle of the 19th century where industrialisation led to an increasing migration to the cities. With the rapid urbanisation the need for affordable housing for workers grew and this led to the foundation of the first housing organisations. At this point the housing organisations where not publicly funded but merely groups of citizens who joined forces to build affordable housing estates together. Towards the end of the 19thcentury the first laws to financially support the housing associations were made and today there are around half a million non-profit housing units in Denmark. 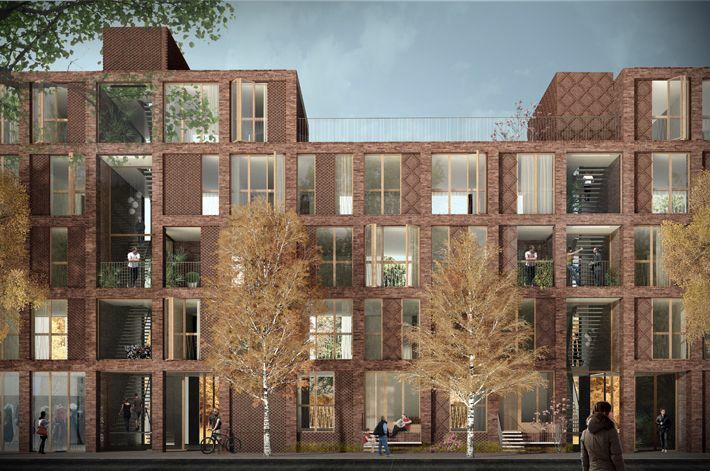 As the capital and biggest city in Denmark Copenhagen has been at the forefront of the development from the beginning and many housing projects with great architectural qualities have been built here within the framework of non-profit housing. The migration to Copenhagen as an urban area is relatively constant and every month around one thousand new citizens arrive making it necessary for the city authorities to constantly focus on developing the city to accommodate the new inhabitants. At the moment the largest development areas in Copenhagen are the North Harbour and the Carlsberg area. However, this may not be acceptable to the buyer or their mortgage lender. Nor may be the simple fact that the other freeholder is not co-operative.